The MITRE Corporation is expanding its existing McLean Campus and has recently added a fourth building. This masterplanning effort proposes the development of five additional buildings. The MITRE campus is located within the 50 acre Colshire subdistrict of East Tysons. The MITRE campus totals approximately 22.53 acres and is currently undergoing a rezoning. 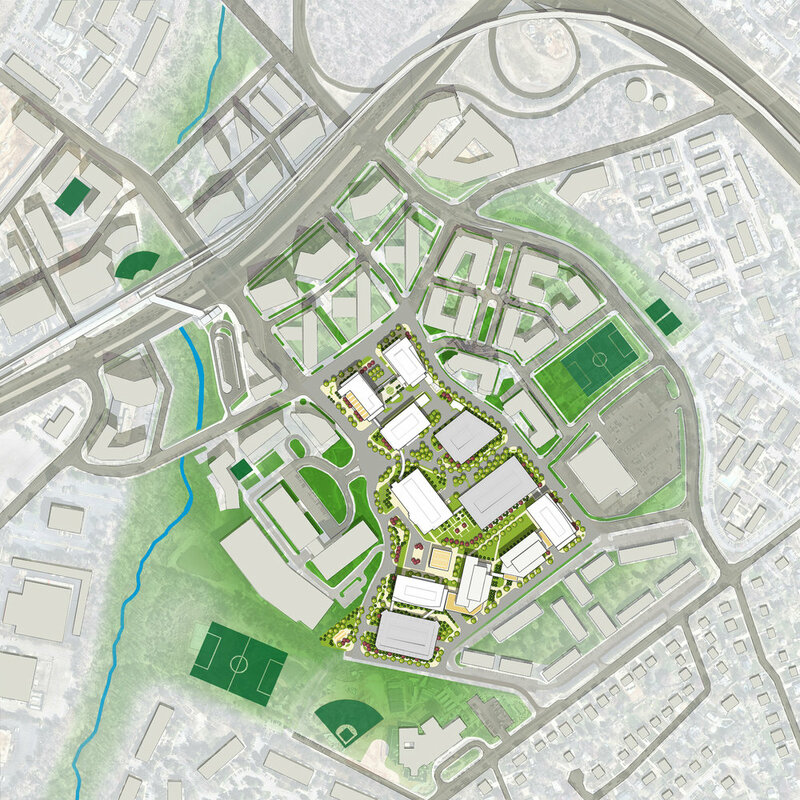 SKA Studio is providing masterplanning services in support of this effort to double the size of the campus by adding approximately 1.1 million square feet of office and R&D facilities. 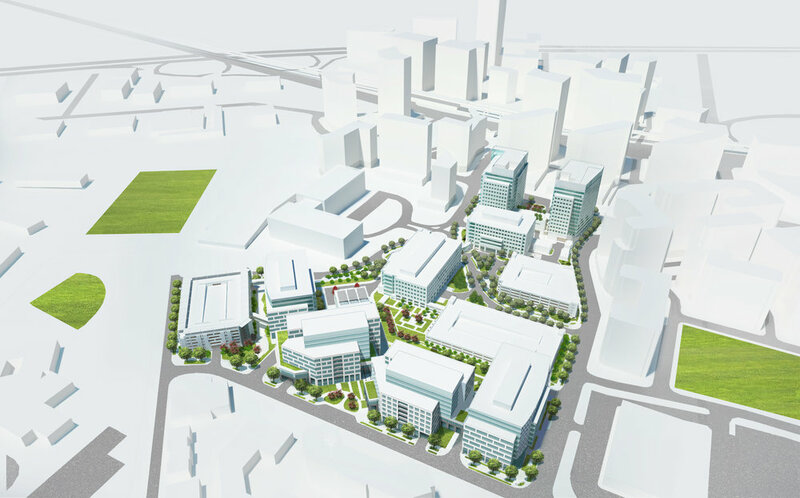 The rezoning to the new Planned Tysons Corner zone will allow MITRE to add additional building height and density. The campus currently consists of four buildings totally approximately 1.2 million square feet. The campus buildings are composed around shared exterior spaces, landscaped motor courts and courtyards. All of the buildings are linked by enclosed pedestrian walkways creating a pedestrian main street which links shared amenity spaces in each building. 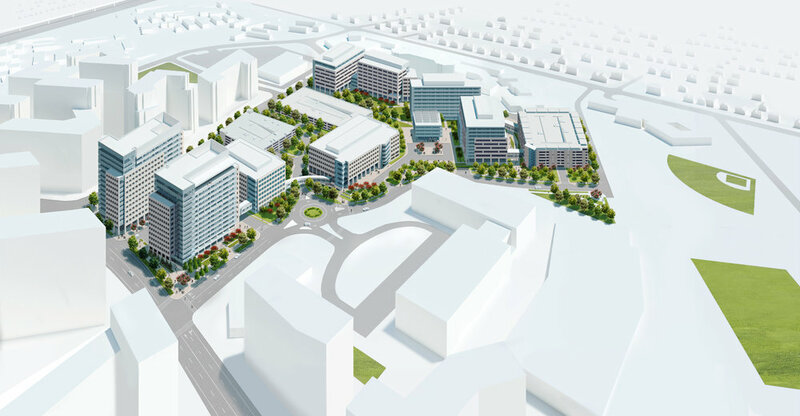 In addition to the new building density, the masterplanning project involves incorporating new roadways to address the County’s plan for the development of a new grid of streets for the East Tysons, Colshire subdistrict. The masterplanning scope includes transportation planning, parking, utilities, open space, pedestrian access, and landscape concepts.